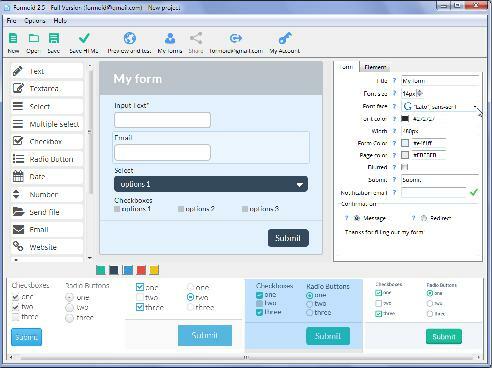 Formoid is a free desktop app that helps you easily create jquery form plugin, jquery form plugin, html5 contact form, php contact form and more in a few seconds without writing a single line of code. Create killer online forms in just a few clicks. What have I to do to make it work? Sorry to ask dumb questions. But what have I to do to make it work? A: Make sure that you specified a valid email address in Formoid app. and try to indicate php file directly (if the server uses index.html instead of index.php). Greetings, I would like to speak to someone about either the purchase of the code or some custom development work. The tool is pretty basic but is a good starting place.